For all you lovers of the sea, Rudee Inlet in the Virginia Beach Oceanfront District is a must-visit for locals and visitors alike. This popular hub of marinas and restaurants is the launching point for water sports, boat tours, parasailing and fishing charters for everyone looking to explore the Atlantic Ocean from all angles. 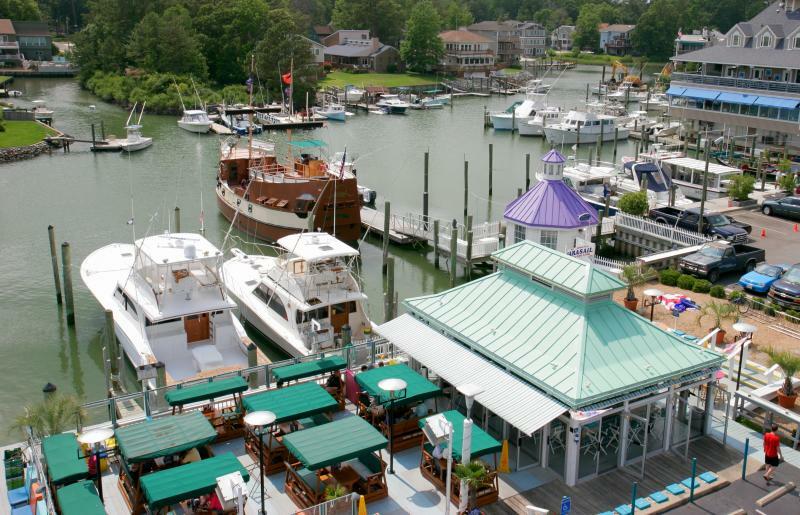 After a day on the water, an afternoon overlooking the boats with a cold drink and some of the freshest seafood in town is the perfect way to pass the time. As the days grow longer, you won’t want to miss this place. Here is our Locals Guide to the Rudee Inlet. The Rudee Inlet is home to a small marina community that offers a wide range of options for getting out on the water and dropping in a line. 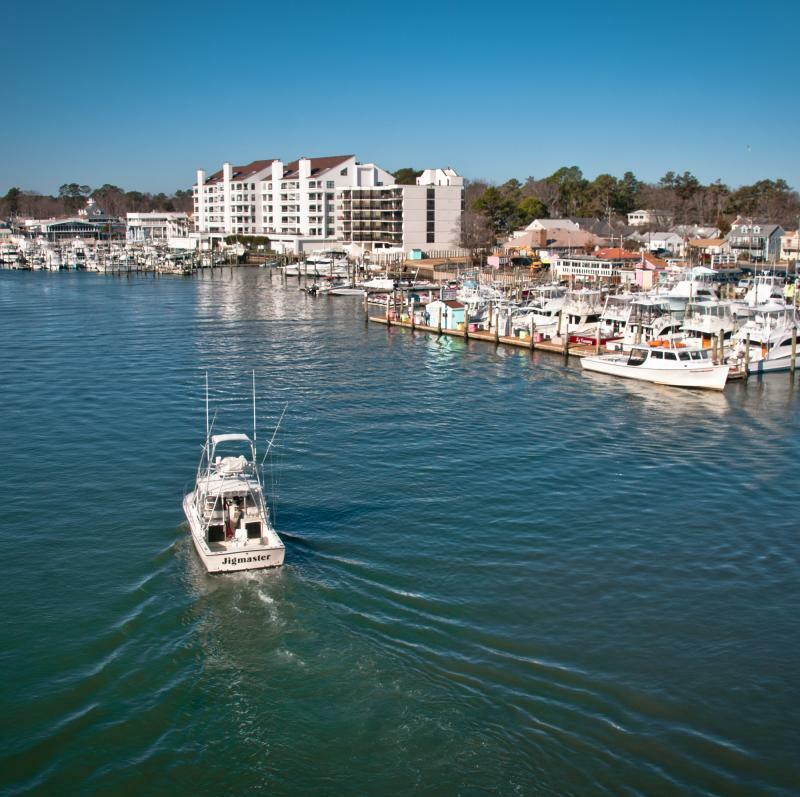 The Virginia Beach Fishing Center, which hosts the largest sport-fishing fleet in the state, Inlet Station Marina, and Fisherman’s Wharf Marina all have a multitude of charters, both seasonal and year-round, that will have you reeling in the big one in no time. The marinas of Rudee Inlet host some of the most experienced captains around - which is a must when you’re looking to hook an elusive tuna or marlin. Charter options range from full day offshore trips, full day inshore trips, and half day trips, both nearshore and inshore, and prices differ based on what you choose. While all options are a great time, we recommend gathering some friends, packing a cooler of drinks, and heading offshore for the day. This is where the big fish live and you can’t beat a nice day on the water with nothing but blue skies and blue seas as far as the eye can see. Just don’t forget the sunscreen! The fish you are likely to catch varies based on the season and how far you are from shore. Rockfish, a local favorite also known as striped bass, are biting winter through spring inshore, while tuna and marlin are more common in the warmer months offshore. Other fish you can pull in include sea bass, grouper, tilefish, cobia, wahoo, and dolphin (AKA Mahi Mahi). If you’ve never fished before, no problem. When you book, talk to your captain and crew about what’s biting and what it takes to catch them. Their expertise will make it that all you have to worry about is reeling in that fish - and, trust us, that’s no easy task. Fishing isn’t the only way to enjoy the water in Virginia Beach, and Rudee Inlet is packed with options. For a wide range of boat tours that everyone in the family will love, Rudee Tours is the perfect starting point. While their Rudee Mariner and Rudee Angler are great options for those looking to do some deep-sea fishing in style, they are also the home of the relaxing Rudee Flipper, the Rudee Whaler, which offers dolphin and whale watching tours, depending on the season, and the exhilarating Rudee Rocket. The Rudee Rocket, known as the greatest thrill ride on the Virginia Beach Oceanfront, is essentially a giant speedboat tour along the coast that is a must for all thrill seekers. For a completely new perspective, and spectacular views of the Virginia Beach Oceanfront, Rudee Inlet is the take-off point for several parasailing tours, too, like Adventure Parasail, Pirate Parasail, and Air America Parasail. If you haven’t experienced the serenity that comes with floating 1,000 feet about the water, we think you should give it a try. 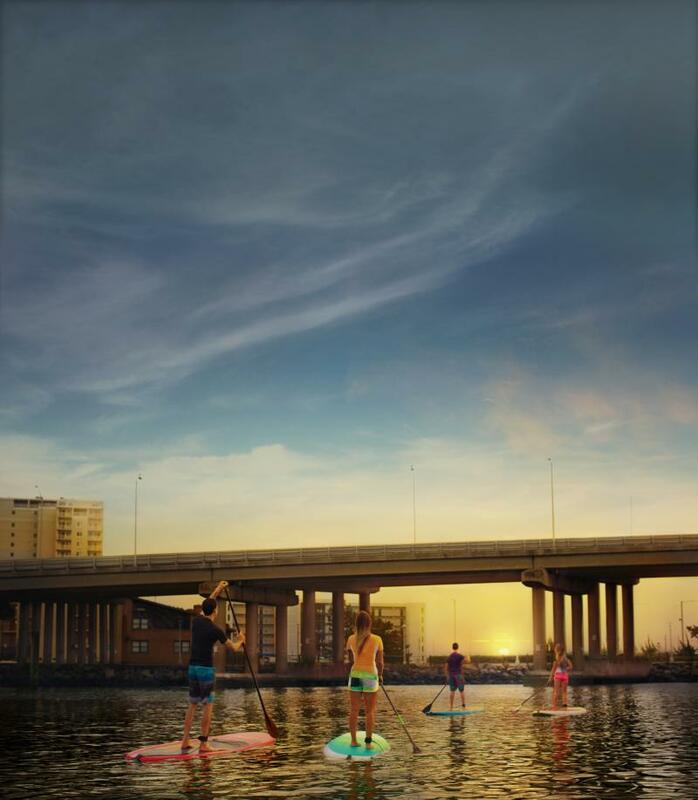 For those who prefer to stay closer to the water, however, and maybe even get in it, kayaks, jet skis, stand-up paddle boards, banana boats and more can all be rented and launched from Rudee Inlet Stand Up Paddle Board and Rudee Inlet Jet Ski. To fully experience all that the waters around Virginia Beach have to offer, you have to taste it, too, and Rudee Inlet is known for having some of the areas best seafood. Rudee’s Restaurant and Cabana Bar, Rockafeller’s, and Big Sam’s all overlook the water and each offer a unique take on fresh seafood pulled straight from the Chesapeake Bay and the Atlantic Ocean. Big Sam’s is one of our favorite seafood shacks in town. Small and unassuming, this place serves up fresh, local seafood, like Big Sam’s Hot Blue Crab Dip (blue crab is a Va Beach delicacy) and Fresh East Coast Oysters served raw or steamed. If you’ve never tried oysters before, go for raw to really get the full palette of flavor that comes only from our waters. Rockafeller’s Restaurant, located at the far end of the Inlet, offers some of the best views of the bunch, and they have the food to match. This family-owned Va Beach staple works with local fishermen, oystermen, and farmers for food that is unmatched in freshness and in flavor. While it may seem obvious, their Oysters Rockafeller, baked with cheese, spinach, and bacon, is hard to beat. On a hot day, wash it down with their refreshing, homemade blueberry soda, made with real blueberries and honey. 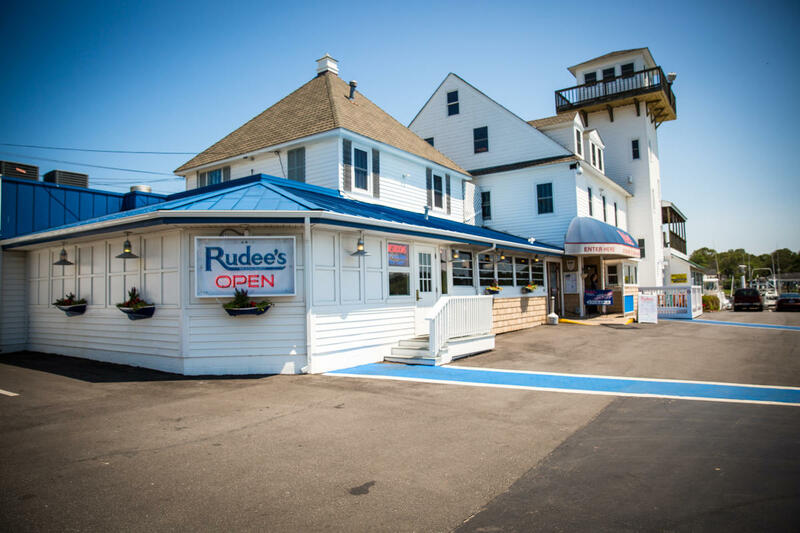 Next door, Rudee’s is instantly recognizable by their Cabana Bar and outdoor dining, a haven of open-air seating known for the unique gliding tables overlooking the marinas. The Cabana Bar is a full-service outdoor bar that serves local brews and signature cocktails around fire-pit tables, meaning on nice nights you may want to get there early because they fill up fast. You can’t miss with the Fresh Catch of the Day served-up Chesapeake Style, topped with jumbo lump crabmeat, Smithfield ham, and Bearnaise Sauce. Believe us, it’s as good as it sounds. Whether filling up on fresh seafood while enjoying an unbeatable view or heading out towards the horizon for a day on the water, Rudee Inlet is an essential part of your Virginia Beach itinerary. Start planning your trip now!